Set in the stunning location of Astley Park in Chorley, this family-friendly event will get you in the festive mood and ready for Christmas. Taking place on Sunday, November 4, from 10am to 4pm at Astley Park in Chorley, the event will get visitors into the festive mood with family-friendly fun and entertainment. Shoppers will be able to stock up on Christmas gifts and trinkets from Austrian-style market stalls. There will be an array of delicious food and drinks stalls, including traditional bratwurst, mulled wine, hot chocolate and a festive fizz bar. There will also be chance to buy Derian’s very own ‘caramel cuddles’ chocolate bar, as voted for the public on the charity’s social media pages. 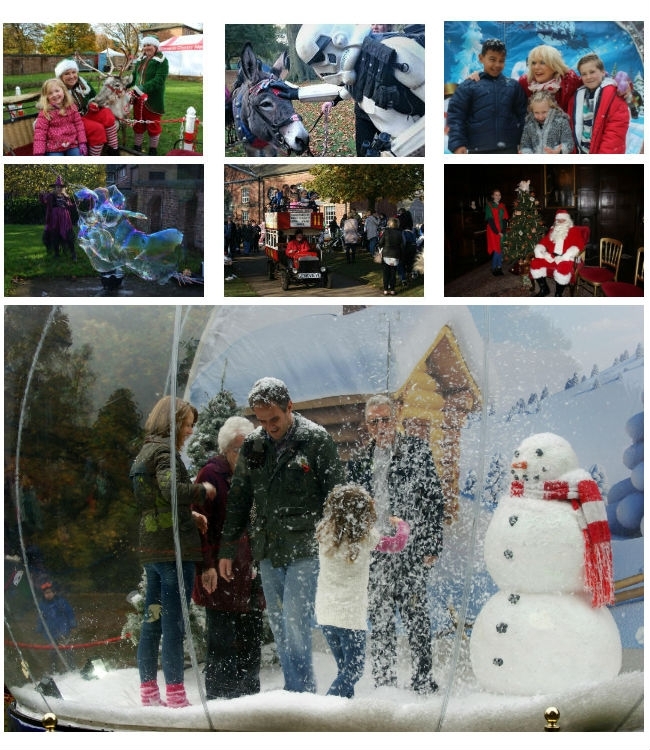 Children will love the huge snow globe, Punch and Judy shows and of course a visit to see Santa with his real reindeer (Santa must be pre-booked). There's also fairground rides and the chance to meet Frozen’s Elsa and Anna. The event will raise vital funds for Derian House Children’s Hospice, which cares for more than 350 children and young people with life-limiting conditions and their families, across the North West. There will be a park and ride service running from Runshaw Adult College, Euxton Lane, PR7 6AQ with shuttle buses running every 30 minutes. Entry is free but some rides and attractions charge a fee. 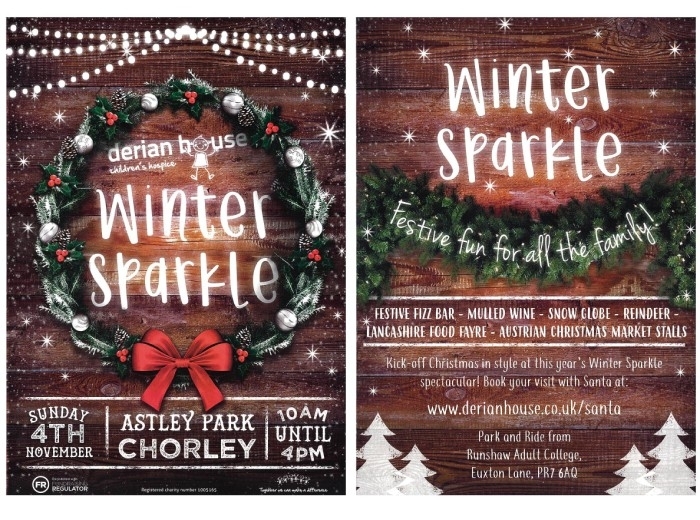 Visit https://www.derianhouse.co.uk/derian-events/winter-sparkle/ to find out more and book tickets to see Santa.